Sorry. Well played. On the bright side, 130 pages out of roughly 140 are thumbnailed and written, 44 penciled, 13 inked. I'm hoping I'll have Jen's first comic done less than a year from now. You on my list of people who need copies sent come time in thanks for helping reignite my love of the medium. Working hard, so hopefully I don't need to cross my fingers. What do we call those people again? Oh yes, “editors.” I do think that a lot of the failures here are failures of editing. One feels the absence of a strong central perspective pulling this whole thing together and co-ordinating the contributions of the individual writers and artists. This is especially so in how Stryfe is handled. He’s the central character of this whole story, so it’s a serious problem that his characterization is so random. Supposedly, he has this big revelation that Scott and Jean aren’t the monsters that he has always unquestioningly assumed, leaving him with “doubt” and nothing but his “hatred.” None of that is visible in his next interaction with them. It’s perfectly credible that he might double-down and proceed with his intention to destroy them rather than accept the collapse of his entire sense of self. But that’s not how it’s presented. Instead, Peter David writes Stryfe, pretty much, as if Scott Lobdell’s comic has not actually happened. Another thing that I think an editor might have caught is that the character’s voices seem off sometimes. Would Warren really say “I loathe to admit” in place of the normal “I hate to admit”? That sort of slight artful variation sounds more like Hank. I definitely think that Logan would not express the thought of “Something I have been known to use successfully now and then” in those exact words. In theory, I think this is also true of the new, calm, deadpan, snarky Cable that our hosts pointed out — it’s a sudden radical shift in a character’s established voice. But I like the new Cable rather a lot, especially when he says “If I do it myself, twenty, twenty-five minutes” for no intelligible reason except that he must want to trick Wolverine and Bishop up into offering their help, just so that he can be a [expletive deleted] to them. In fact, I had the revelation while reading these that I am much, much more interested in both Cable and Bishop than I am in Wolverine. Isn’t he completely played out at this point? Time to kill him off, surely. There’s no way this character will still be around at the end of the ‘90s, right? – It feels odd to praise these issues for subtlety, but the whole revelation of Stryfe’s origin is handled in quite an interesting way. There’s no single “My God, Jean, you don’t mean?” “Yes, Scott – – Stryfe is YOUR SON!” moment. Instead it becomes more and more obvious until by the end of the comic not only the reader, but also the characters, are taking it as read that Stryfe is the grown-up baby. – I sort of felt that Havok was maybe being pushed into the leader role at Storm’s expense a little too much. – Bishop reminiscing about his childhood in the future and mutant-human relations there seems to be dialing down his Dredd-analogue-ness in favor of a different impression than he gave at first. – “Star-crossed soldiers of fortune.”? OK, Cable actually was one and there’s room in Wolverine’s Mysterious Past for him to have been, whether or not that had been stated at some point before this. But Bishop wasn’t a soldier of fortune. Words mean things, Mr. Nicieza. *Although, thinking about it, the fact that our hosts went straight for Total Eclipse of the Heart is solid evidence for my belief that stereotypically “‘90s” superhero comics like these are only *chronologically* ‘90s — they’re more in tune with the ‘80s than the rest of ‘90s pop culture. Just thought I would mention that the sequence where Cable, Bishop, and Wolverine decide to go to the moon is a reference to the 1969 Western the Wild Bunch. In fact, the subplot of Cable being hunted by former “Wild Pack” member G.W. Bridge also parallels the plot of the film. Come to think of it Cabel’s character development in Blood and Metal is very similar to William Holden’s transformation as a character in the Wild Bunch. For real, I met a hawk tonight. It mostly made soft chirping noises before eating pieces of quail. I actually really like the idea that Cable would be the clone…with everything else more or less staying the same. In a way, it’s more touching that Scott and Jean would grow to see the “lesser” option as theirs and no less deserving of their love. I think it’d be a nice bridging of the whole Summers family nonsense with the idea of “found family” (though we will get that eventually with Hope). Also, there’d be a weird kind of parallel to the genesis of Cable to begin with (after all, one of the parents was a clone). Anyway, great ep, as always! Loved the hawk digression so much. Honestly, I feel the same way. Superhero comics have a tendency to treat characters as instantly “lesser” once people realize they’re a clone (see: Madelyne Pryor, the tone/reaction to the Clone Saga), so having Cable – not the nicest person but still much more heroic & noble than Stryfe – be “just” the clone would be a refreshing change. Ah, well. I don’t know which of you mad geniuses chose that ending, but I almost crashed my car today because I was laughing so hard. I love the idea of Warren being all hawk-like in the most embarassing possible ways. In my neck of the woods we have had a recent attempt to reintroduce a near extinct ird of prey which has worked beautrifully, so we now have skies full of red kites. This is a species of raptor which looks magnificent with full blown, giant wingspan and soaring movements, sound EXACTLY like every hawk sound effect you’ve ever heard on any movie or TV show ever and… well, are actually just a bit crap at being predators. They can catch small prey, but their beaks aren’t particularly sharp or long, so they tend to go for already dead animals because they put up less of a fight.. probably. It reassures me somehow, to know that nature can produce magnificent looking birds of prey which are just really bad at their job. Waiiitaaa, waita, waita second. Were you (Jay) suggesting that Wolves skeleton has adamantium in the hollow cores of the bones (where bone marrow would be)? U often hear the term ‘laced’. That’s probably a purposely ambiguous chosen term. I always took it as he has a thin coating of adamantium over ALL of his bones. Except at all the necessary spots, and obviously at the joints to not impede his knees hinging, shoulders moving, etc..
My brother & I never opened the sealed bags that X-Cutioner’s Song came in! So this is the first of the comics you’ve covered that I’m learning about initially from you since the silver age. Totally different experience. Thank you. That might be another reason why this has the (IMO) exaggerated reputation for being downright awful? I imagine that there must have been many people who bought two copies (keep/read), and had the not unreasonable expectation that they would get something that was, if not twice as good as usual, at least at a noticeably higher level. I can certainly see that readers might expect something special, not something that’s basically an OK crossover that’s doing pretty much what The X-Tinction Agenda did at greater length. It felt awful at the time for me because there was not a trace of Claremont’s influence in it. Just no good character work. That was the straw that broke my back after Harris forced him out. 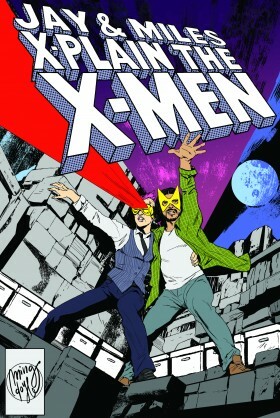 After this cross over was done I didn’t read X-Men again until 2003.